Scheerer McCulloch was recently selected to market and sell the Dr. Stallman collection of more than 500 vintage comic books at public auction. A serious collector from Omaha, Nebraska stated, “this is the nicest collection that I have seen offered for sale in the last 5 or 6 years." Conducting the auction live at our Lantern showroom/gallery in Fort Wayne, IN in conjunction with simultaneous live internet bidding using the LiveAuctioneers platform, individual comic book prices ranged from hundreds of dollars to over $45,000 each. 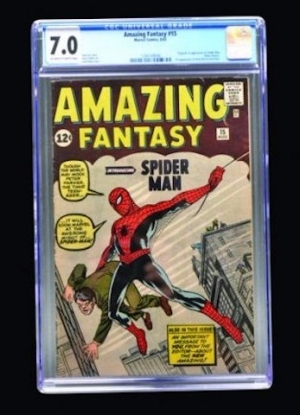 The highest price achieved was the Amazing Fantasy #15 (CGC graded 7.0 / 1st appearance of Spiderman) reaching a high bid of $47,560.00, selling to an internet bidder. 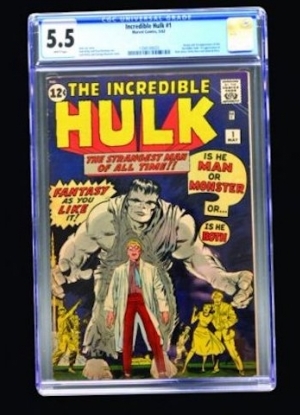 The 2nd highest sale was the Incredible Hulk #1 (CGC graded 5.5), selling to a live audience bidder for $14,690.00. What made this collection so special was the pure love the lifetime collector, Dr. Stallman, had for comics. He started purchasing and reading comics as a young boy. He and his childhood friends continued gathering to read them together, even as adults. Though Dr. Stallman never intended to sell his comic books, he had always taken excellent care of them. After his passing, the family decided it was time to offer his collection to other collectors worldwide that would enjoy them as much has he had. It is a special day when a person’s beloved collection ends up leaving such a wonderful legacy as these comics did for Dr. Stallman’s family. It was a pleasure to have the family in attendance at the auction, and an honor to play a role in making this happen.